This is a guest post from defamation & anti-SLAPP lawyer Adrianos Facchetti. You may be shocked to learn that much of your private information is online: and I’m not talking about data you voluntarily post on Facebook or Twitter after a party. I’m talking about info like your age, phone number, income, e-mail, political contributions, and even your home address. How can this be, you wonder? It’s because there’s a thriving market for your personal information. See, some companies collect and package your information and sell it to marketers for a tidy sum—and yes, it’s legal. So how do you identify which companies are selling your sensitive information, and what can you do to stop them from doing it? The answer is actually quite simple. Like any industry, there are a few major players, and the information aggregation business is no different. Here are a few I’ve been able to identify: (1) Whitepages.com; (2) Intellius.com; (3) PeopleFinder.com; (4) Spokeo; (5) USsearch.com. This company makes it easy to remove your unwanted information. Here’s what you do. Search for your name. Then click on your listing. Scroll down to the bottom. On the left hand side, you’ll see a small link that says: “is this you? remove your listing.” Click on that link and then you’re basically done. Your listing should be removed immediately. Make sure you delete each variation of your name. For example, I had three different profiles; so make sure you’re thorough. This one is very easy, probably because it appears to be associated with Whitepages. Go to their website and click on the “remove me” button at the bottom of the page. All you need to do is enter in some basic information. You information should be removed within a reasonable period of time. Simple. Just send an e-mail to support@spokeo.com. The title of your e-mail should be “opt-out.” In the body, ask them to remove all you information from their site pursuant to applicable California privacy laws. They processed my request in 8 hours. 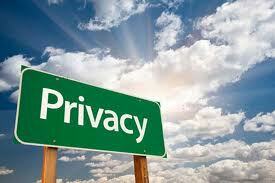 The above is by no means a comprehensive list of sites that collect your personal information. However, knowing that certain sites are compiling and selling your information is good to know. Once you’re aware of the problem you can then begin to address it. Adrianos Facchetti is fast becoming one of the most sought after attorneys in Los Angeles in the areas of defamation and anti-SLAPP law. He has successfully handled defamation, libel, and slander cases, as well as anti-SLAPP motions for both plaintiffs and defendants. He has written over 100 articles regarding these areas of law in a number of publications. His services have been sought out by people from all over the United States as well as foreign countries, including Germany, Brazil, Japan, and England. Attorneys contact Mr. Facchetti on a weekly basis seeking his advice on all aspects of defamation and anti-SLAPP law.